On February 19, 1942, during World War II, President Roosevelt issued Executive Order 9066, authorizing the Secretary of War to prescribe specific areas as military zones ‘‘from which any or all persons may be excluded.’’ On March 9, 1942, President Roosevelt issued Executive Order 9102, providing for the removal of persons from the exclusion zones. Two days later, Congress passed legislation ratifying and confirming Executive Order 9066 and providing for its enforcement As a result of military exclusion orders issued pursuant to Executive Order 9066, approximately 120,000 men, women, and children of Japanese ancestry were evicted from the West Coast of the United States and held in relocation camps across the country. From 1942 to 1945, the U.S. Government forcibly removed over 46,000 Japanese and Japanese-Americans from their homes who arrived in Arizona to wait out the war in relocation camps located in Gila River and Poston. Americans' response to the camps and the treatment of Japanese Americans varied widely. 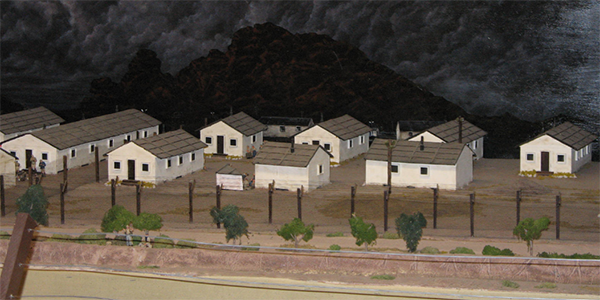 Some supported the internment as a measure of national security, some rejected it out of fear from having so many of the enemy on Arizona land, and some campaigned on the part of their Japanese-American neighbors and friends to end the internment. 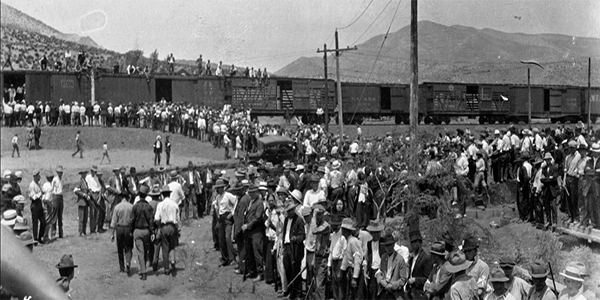 The presence of Japanese Americans in Arizona highlighted the nuanced ideas of race, ethnicity, and what it is to be American during a time of war and transition. 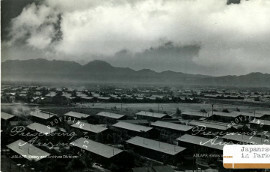 Arizona State Archives Collections: Japanese relocation and internment took place from 1942 to 1945. Relevant information may be found in the Governor’s Files of Sidney P. Osborn. There is a file labeled Japanese Matters, Internment Camp. 1941-1942. Please contact Archives for more information. Find a document in the Arizona State Library catalog that would be a good addition to this topic? Have a suggestion for another Arizona Research Topic? Contact us.